Are you a university, secondary school, or other educational institution? Interested in using GravityView? Check out our guide or get in touch with any questions. In the first part of this case study, we talk to Adam about his position, his department’s needs, and why he chose to use GravityView in particular. Can you tell us a little bit about your university department? AC: I work for the Executive Vice President and Provost at New Mexico State University. The Provost is the chief academic officer of the NMSU system, overseeing the academic colleges, accreditation and assessment of academic programs, as well as other areas of university operations. I serve to support the efforts of the office with various web projects and training initiatives. What initially led you to search for GravityView or software like it? In other words, what problem did you need to solve? 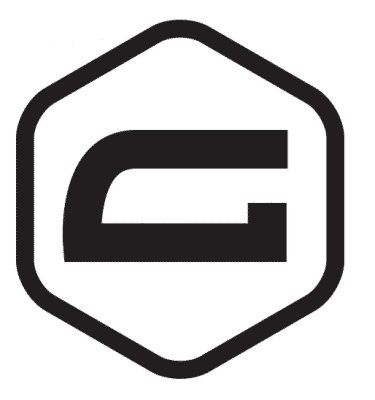 AC: We have been a long-time customer of Gravity Forms and we’ve tried several methods to leverage information collected via Gravity Forms to display and otherwise use the information collected. When I noticed GravityView was a solution to solve this problem, I requested a license because we had a big project coming up that we needed to have up and running in short order. The project was to collect input from various stakeholders around the state, including college and university administrators, teachers/faculty, students, and citizens of New Mexico regarding state higher education reform of the general education curriculum. Why did you choose Gravity Forms and GravityView in particular? Did you try any other software programs first? AC: With so much free software available for WordPress, I generally tend to find the free solutions that help us to get where we need to be. 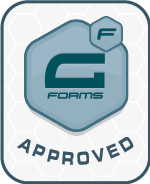 Regarding Gravity Forms, we needed a reliable and secure way to work with forms for all of our sites, so when we moved to WordPress the first thing our entire university did is purchase Gravity Forms. 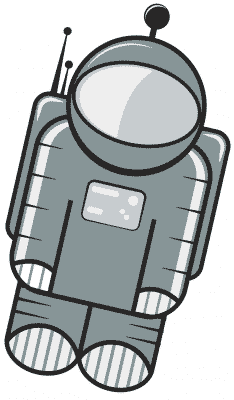 Regarding GravityView and the task that we had set out to complete, we tried several plugins and some coding. This includes plugins and we briefly tried a plugin called ‘Contact Form DB’. The plugin was a bit easier than trying to code my own plugin or use other plugins (like WCK – Custom Fields and Custom Post Types Creator) in conjunction with child theme enhancements, but it only captures data submitted live. In other words, form data previously submitted couldn’t be queried and this was very limiting. We also tried using third party integration services, such as Zapier, but this was a complicated multipoint solution that was difficult to bring together. Once I noticed that we could do everything we were looking to do, get support for the product, and get access to additional add-ons, like the Import Entries add-on, I was sold. I heard about GravityView some time ago, but we had stayed away from it because it was a fee-based product and we already had broad use of Gravity Forms and WPMU DEV plugins, which central IT pays for. Once I noticed that we could do everything we were looking to do, get support for the product, and get access to additional add-ons, like the Import Entries add-on, I was sold. It took little convincing to get the funds for our office to pay for it given the importance of the task and the timeline. In the second half of this case study, we discuss the particular ways in which NMSU uses GravityView. What projects do you use GravityView for? AC: Once we had GravityView we realized how many situations existed where we could use it to solve problems. It all started with our need to collect and SHARE feedback about our activities and initiatives. As a state university, it is our responsibility to be transparent and collaborative with respect to how the institution leads education efforts in the state and how we provide services and resources to our students and the broader community. Once we had GravityView we realized how many situations existed where we could use it to solve problems. It all started with our need to collect and SHARE feedback about our activities and initiatives. Gravity Forms and GravityView allow for this and most of our projects involve collecting input from the website and displaying and organizing it for everyone to read. I count about ten projects that use GravityView, although I’ve only detailed eight of them for this interview. AC: Accreditation is basically a process whereby a third-party validates that an institution delivers on their promises of providing programs that represent quality education and provide credentials sufficient for graduating students to enter professional life. We needed a way for the leaders of each of these academic programs to provide updated reports to the general public about the type, status, and activities involved in their specialized program accreditation. For a university of our size, we have more than just one accreditation. We have a global accreditation for the entire university system, but other programs, such as in Nursing, Agriculture, and Business, have their own, domain-specific, accreditors. We needed a way for the leaders of each of these academic programs to provide updated reports to the general public about the type, status, and activities involved in their specialized program accreditation. 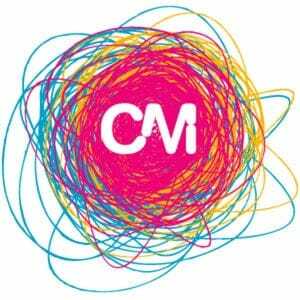 One great benefit…is that the leaders in their respective areas get to directly input the details, making the management of information less laborious, more consistent, and more transparent. 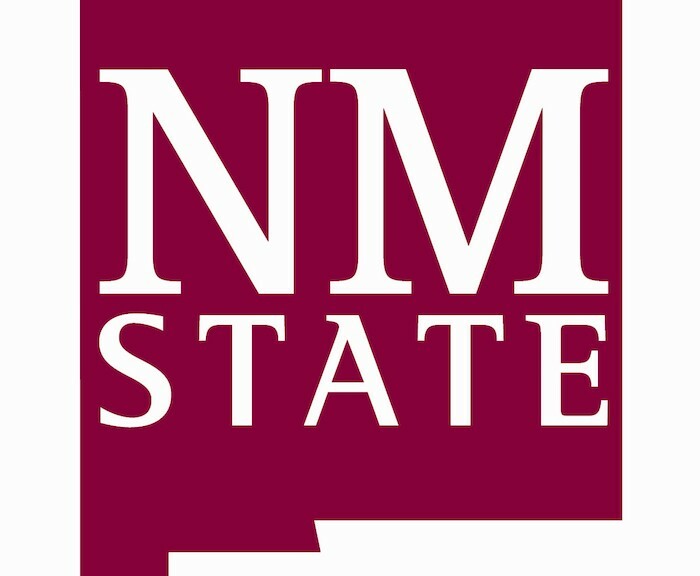 The above link was used to create the list of specialized program accreditation at NMSU. One great benefit of this is that the leaders in their respective areas get to directly input the details, making the management of information less laborious, more consistent, and more transparent. Note: the NMSU Actor Database is a private webpage. Want to build your own Actor/Actress database with GravityView? Check out our walkthrough guide. AC: As with any strategic planning process, it’s important to collect input from various stakeholders to capture the best ideas and frame our efforts in a continuous quality improvement mindset. As such, we developed a feedback form related to the strategic plan and posted the input on the website. Our university recently changed from a distributed advising model (where advisors were located in each of the colleges) to a centralized model. As such, it was very important to provide mechanisms for students locate their advisors and get a sense of who they are before coming to meet with them. 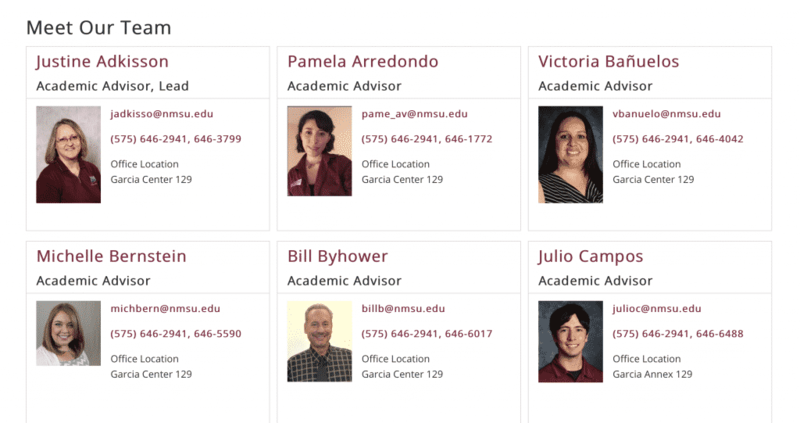 Working with the Advising area, we created a directory of advisors and an input form that the department could use to update the list. Need to build your own Academic Advisor database? We’ve got you covered – follow our guide. Note: The “Look Up Your Advisor” function that is linked to from the Directory page is not a GravityView solution. AC: University policy requires that each official committee or board submit an annual report regarding their activities. We used GravityView to list the contents of these reports and provide a method for them to update their report from last year, as many details of the report remain the same from year to year. To do so, we use the Gravity Forms import add-on to create duplicate copies of reports for committee chairs to update, which has saved a lot of time. In addition, this process was previously on paper and the website didn’t provide as much detail regarding the activities of the committees, which makes this solution more transparent. Finally, since the reports are collected in one location, it makes it a little easier for administrative staff in the Chancellor’s office to keep track of who has submitted a report and who has not. AC: The project was to collect input from various stakeholders around the state, including college and university administrators, teachers/faculty, students, and citizens of New Mexico regarding state higher education reform of the general education curriculum. Need a way to display feedback from your students, staff, or customers? You can easily build a feedback system with GravityView. AC: I was approached by a faculty member who wanted to put together a program he had seen at another university. The program promotes involvement of undergraduate students in research that the faculty at NMSU are currently conducting. The challenge was to put together a couple of forms for both faculty/researchers to sign up to participate and for students to sign up to work on the research project so that faculty and staff could review potential opportunities for collaboration. Due to the nature of the data, we needed to protect the privacy of students so we require authentication to see the student list. However, you can see Faculty List and list of research projects without logging on. 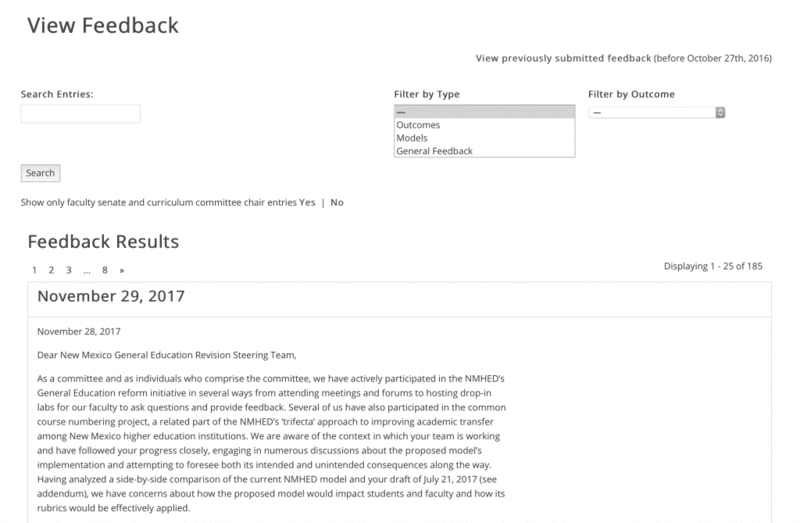 The challenge was to put together a couple of forms…so that faculty and staff could review potential opportunities for collaboration.…This program has great potential and GravityView has helped us to mobilize a tool quickly to make it possible. This is the end of the first year of this program and we’ve seen good interest from faculty and several projects have been listed. The best part is that it costs nothing to do (from an institutional perspective). We’ve just provided the mechanism for students to get together with faculty so that they can gain first-hand experience working in labs and conducting other research, and that’s real research too, this is not a class. This program has great potential and GravityView has helped us to mobilize a tool quickly to make it possible. 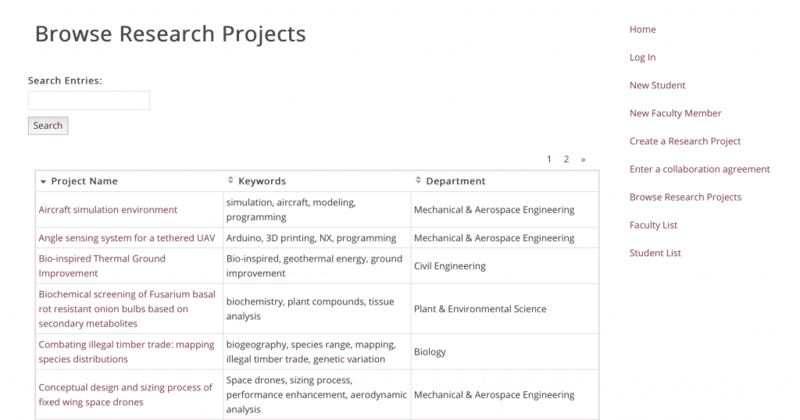 With GravityView, you can easily connect students with researchers for projects. Read our walkthrough guide to building your own application. Note: this project is still under construction and will be live soon. Stay tuned! AC: New Mexico State University is home to the Domenici Institute. Following Senator Domenici’s retirement from the U.S. Senate in 2008, the Pete V. Domenici Institute for Public Policy (Domenici Institute) was established on the main campus of NMSU with the goal of continuing Senator Domenici’s legacy of service. The Domenici Institute provides community engagement activities that serve to enhance the understanding of regional and national public policy issues. As part of that effort, the institute hosts a public policy conference and several policy forums each year. The annual Domenici Public Policy Conference is a significant, regional event with more than 1,000 attendees from New Mexico and parts of Arizona and Texas. There was an untapped potential to organize and distribute content from the past Domenici Conferences (which is now in its 10th year) to serve the greater public good and support efforts of our student programs, such as the Domenici Student Scholars Program. Part of the challenge was to create a sustainable solution to be managed by Domenici Institute staff, that would be searchable and easy to maintain and expand. Using GravityView, we created a searchable database of past conference presentations, which include brief bios about the presenters, and link to the recorded Webcast of the session, and the basic title and topic of the presentation. This is the first project where I used the DIY layout tool, and I’m very happy with the outcome. Are you interested in doing a case study with your GravityView project? Let us know on the Contact page or ping us on Twitter!